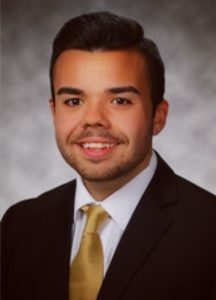 Michael Rubio, a senior political science major graduating in May 2019, is the recipient of the 2019 Future Alumni Leader Award in the undergraduate category. This award recognizes Rubio’s outstanding leadership and service to Illinois State and his future leadership potential. Rubio has had a number of leadership roles as an Illinois State student. They have included serving as Pledge Class President for the Phi Gamma Nu National Business Fraternity, as well as serving as a Student Life Senator representing hundreds of registered student organizations. Rubio is currently serving as Student Body President and President of Sigma Nu International Fraternity.